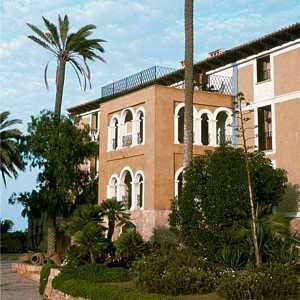 General Description: Welcome to Casal Santa Eulalia in Santa Margarita. To make your stay more comfortable a lounge, a reception, a lobby and air conditioning are available. The staff in this 3 storey hotel speaks German, English and Spanish. Mobility on holiday is made easy through car, bike and motorbike hire. 3 swimming pools with an integrated children's pool are available. For convenience, refreshing drinks are offered at the pool bar. Sunshades and sunbeds are available free of charge at the pool. Accessible from the hotel: horse riding (500 m), airport PMI (50 km) and S.Albufera Natural Park (2 km). The hotel is within easy reach of bus stops and city centre. Guests with disabilities are catered for, and the hotel ensures the presence of the following amenities: a ramp or level access. For your entertainment the hotel features a TV lounge. Vehicles may be parked in the parking lot.